Keep a continuous supply of hot, sanitizing rinse water available at all times with this Hatco 3CS-9 sanitizing potwashing sink heater. 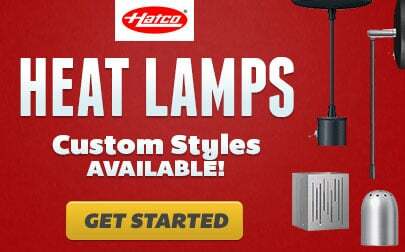 Perfect for kitchen warewashing areas with limited space, the Hatco 3CS-9 sink heater attaches easily to the bottom of your 3 bowl pot washing sink with included hardware. The first of two reservoirs draws in water from the sink's bowl and boosts its temperature to proper sanitizing levels. The second reservoir traps soil and sediment before the heated water is flushed back into the sink. This process helps speed up manual warewashing tasks and reduces the amount of chemicals needed, leading to consistently cleaner dishware and glassware. A convenient drain handle lets you empty the drain reservoir after each use. 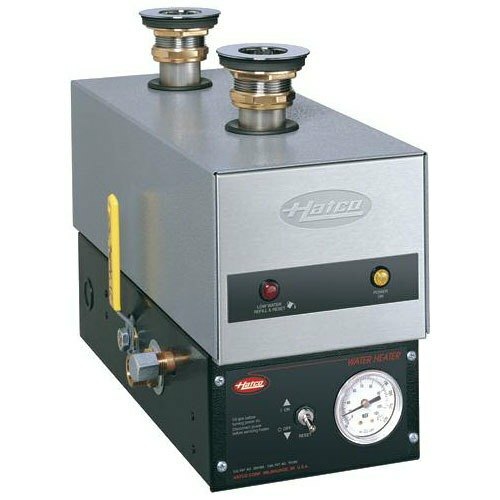 The Hatco 3CS-9 sanitizing sink heater features a built-in ECO (Energy Cut-Off) system that cuts power to the heating elements if the temperature of the water goes above the normal thermostat setting, to protect your employees from burns. Water Quality Requirements: Incoming water exceeding 3.0 grains of hardness per gallon (GPG) must be treated and softened before being supplied to the water heater. Water containing over 3.0 GPG will decrease the efficiency and reduce the operating life of the unit.